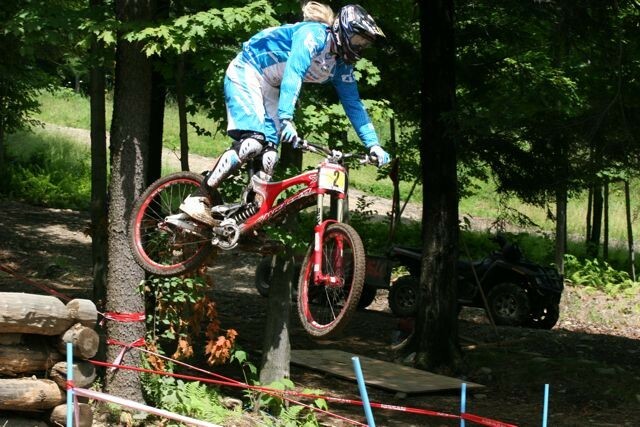 SYNDICATEâ€™S MINNAAR RACKING UP THE WINS, 1ST IN BROMONT!! 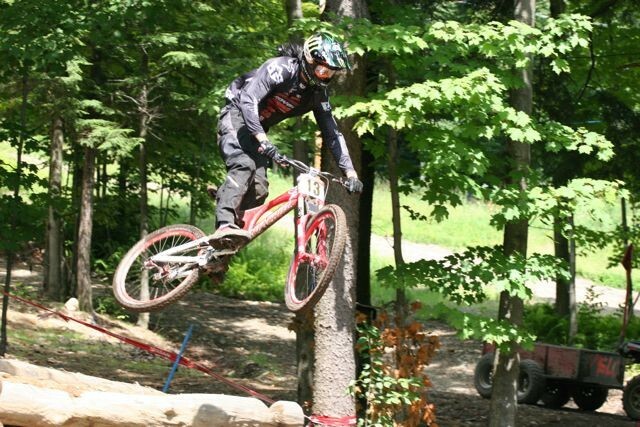 SYNDICATE’S MINNAAR RACKING UP THE WINS, 1ST IN BROMONT!! 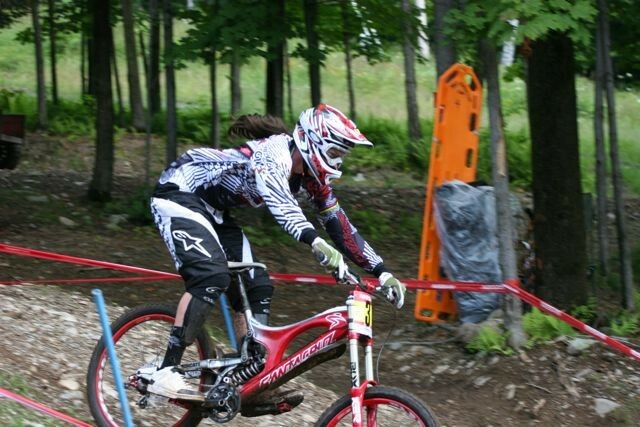 Santa Cruz Syndicate’s Greg Minnaar(SRAM/RockShox) reels it in for his third win of the season in Bromont, Canada winning his 11th career UCI downhill race in the 111th UCI World Cup Series event. His brilliant race run eclipsed the times of Fabien Barel, Sam Hill, Gee Atherton and Aaron Gwin for a big win this weekend under sunny skies on a rugged race track. Steve Peat makes a costly mistake and comes 7th, and Josh Bryceland steps it up and places 9th. Coming off of the race at Mt. Ste. 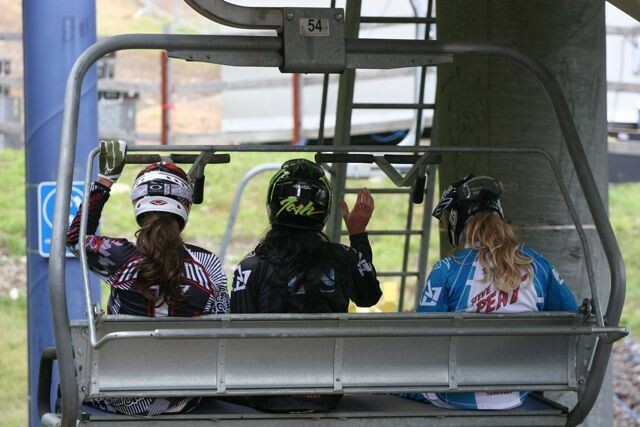 Anne the Syndicate rolled into Bromont early for a few days of relaxation before the race week started. The boys went golfing and had massages. We had a Christmas dinner complete with white elephant gifts that had the night ending up with fireworks going off, Steve singing his hair people running around in funny underwear and crazy flip-flops. Practice started and everything went well. The mechanics had the Santa Cruz V-10’s pimping and the boys got their lines dialed. Weather was on and off with rain during the week. Regardless of the conditions they enjoyed the challenging track. Steve was fighting a bug and felt under the weather but he was able to pull off a good qualifier in 4th. Greg was focused and qualified 3rd, and Josh wasn’t pleased with his 15th place qualifier. Race day went smooth as silk and the race program is dialed with everyone playing their part perfectly. The guys had their hot lunch and a nap at the Syndicate mansion and were ready to deliver the goods with me bringing the boys to the track. Josh had a great result and did a stint in the hotseat and he emerged 9th at the end. Steve charged the course but had a dab in a section that cost him precious time and he came 7th. All hopes were now on Greg and he didn’t disappoint rolling into the hotseat with Sam and Fabien to follow. The split times were revealing and hopes were building, and in the end Greg was the victor !to the excitement of us all as he raised his shirt in celebration to reveal a “oneLife” mock tattoo. The Syndicate is stoked to be back in the overall points lead. Just 16 points separate Greg from Sam Hill’s individual overall lead and Steve is in striking distance just 69 points back of Sam. It’s going to be a showdown in Schladming for the finals, but we’ll be heading down under before that for the World Championships.